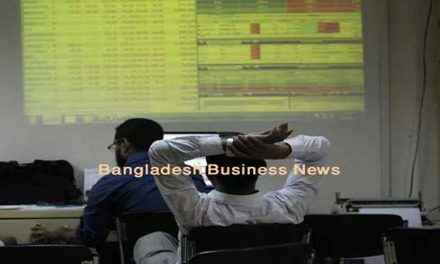 Dhaka, Bangladesh (BBN)–Bangladesh’s stocks returned to the red on Tuesday, snapping two sessions’ upward trend, as investors followed cautious stance ahead of budget announcement. The national budget for the fiscal year 2015-2016 is set to announce on Thursday next. 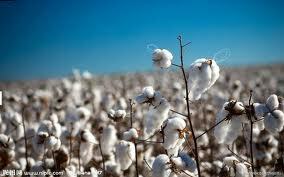 The market opened positive, but could not sustain the trend as investors went on late hour selling spree. DSEX, the prime index of the Dhaka Stock Exchange (DSE), came down below the 4,600-mark and finished at 4,586.84 points, shedding 36.78 points or 0.80 percent. The two other indices also closed lower. The DS30 index, comprising blue chips, lost 8.06 points or 0.45 percent to close at 1,757.89 points. The DSE Shariah Compliance Index – DSES—dropped 5.37 points or 0.48 percent to end at 1,113.36 points. Turnover, the most important indicator of the market, fell 28 percent to BDT 7.25 billion over the previous day’s seven and a half months high turnover BDT 10.02 billion. Losers took a strong lead over the gainers as out of 311 issues traded, 195 advanced, 79 declined and 37 remained unchanged on the DSE floor. Summit Power was the day’s top turnover leader with shares worth BDT 580.89 million changing hands followed by KPCL, Beximco, BSCCL and Shasha Denim. Summit Power was also the day’s top gainer, posting a rise of 6.54 percent while Rahima Food was the worst loser, plunging by 9.27 percent. The port city bourse Chittagong Stock Exchange (CSE) also closed lower with its Selective Categories Index – CSCX – lost 63.24 points to close at 8,606.15 points. Losers beat gainers 159 to 51, with 25 issues remaining unchanged at the port city bourse that traded 16.45 million shares and mutual fund units, turnover value of BDT 610 million.